Jay Black, Blackface, Danny Worthy Boards et al. 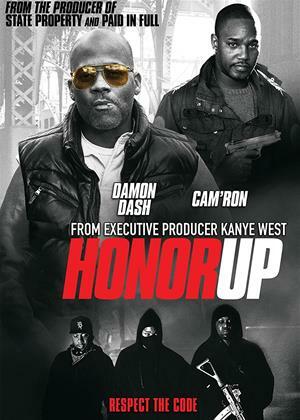 State Property producer Damon Dash and executive producer Kanye West present this epic, explosive crime saga that stars rappers Cam’ron, Murda Mook, Blackface, and Smoke DZA. Dash stars as OG, a drug lord’s lieutenant struggling to maintain the code of honor - protect the family - within his unruly crew after a Harlem shootout. Also featuring Nicholas Turturro and Stacey Dash, this film reveals a deadly underworld where beats pound as bullets fly and even outlaws must live by the code.